We’re making it super easy for you to recycle your lenses. 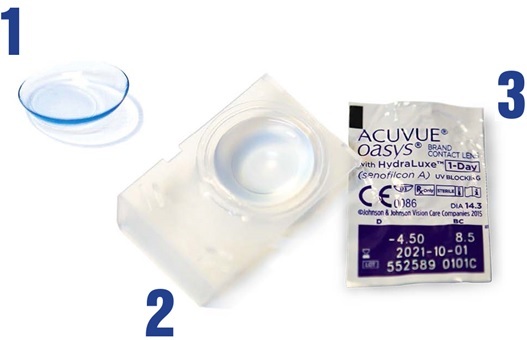 Simply collect your contact lens waste at home and either ship free of charge, or drop off at your nearest participating opticians practice – it’s your choice. Why not also sign up to the ACUVUE® Newsletter – be the first to hear about our exciting upcoming product innovations in 2019 and where you can try them! For step-by-step instructions on how to book in your UPS collection, view or download our handy PDF guide. 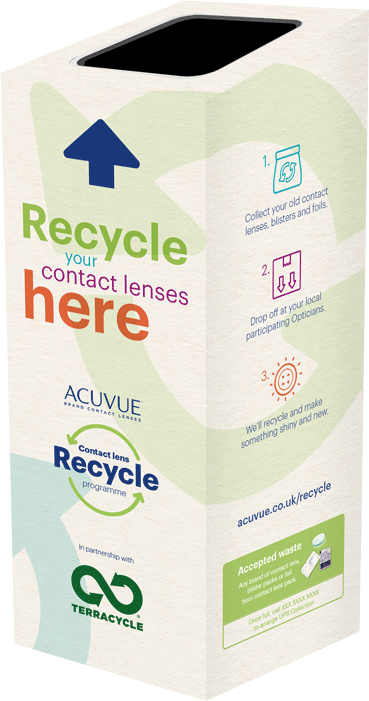 ACUVUE® are working with opticians practices across the UK to create a network of drop off locations. Look out for the recycling bin in your nearest participating practice. If you are an Independent Opticians practice and would like to get involved and become a designated drop-off location, please visit our professional website here.